You might have found yourself in situations where you had to use your personal vehicle to travel for work. Or, you might be a small business owner where you might be driving to customers to deliver their products. In any scenario, you have invested fuel and driven to meet your clients, and should be reimbursed for the same. One way to claim these reimbursements is to keep track of the distance traveled for each job and multiply it with the fuel price, adding it to your bills. This would entail making a note in a small notebook every time you turn the ignition on and off, multiple times a day. Alternatively, you could just use a mileage tracker. What Is a Mileage Tracker? Mileage trackers are apps or devices which keep track of the distance you travel in your vehicle, along with the origin and final destinations, and the time is taken to cover it. Such applications are extremely useful as maintaining manual records is not only monotonous and time-consuming, but you also might forget to update your log when your mind is occupied with more important work. Why Is Mileage Tracking Necessary? If you are employed in a job where travel is frequent, like driving for Uber or Lyft, you are already aware you can claim reimbursements for your travel expenses, unless your contract specifically contains other provisions. In addition, travel expenses can be used to claim tax rebates. The Internal Revenue Service (IRS) offers mileage deductions if you have used your personal vehicle for business purposes. To apply for these deductions, however, you are required to submit a log of your mileage in a clear format which can pass IRS scrutiny. If you are a freelancer and not a regular taxpayer who works in a corporate framework, like a photographer, for instance, your expenses would also include the cost of fuel for traveling to the client’s requested location. When you do not have a complex maze of legal jargon to back your claims for compensation, you need substantial evidence of all the costs you have incurred so that your client does not have room to negotiate later. For tax purposes, the IRS offers up to 53.5 cents per mile as the standard rate for mileage deduction. It varies between 14 cents to 53.5 cents depending on the purpose for which the vehicle is used. The IRS has its own norms for the kind of travel that qualifies for mileage deduction. Commuting from home to work in your personal vehicle, for instance, is not taken into account. However, driving from home to a temporary job site (for less than a year) can be considered as a business drive. Using your own vehicle to drive for a charitable purpose with a recognized entity qualifies as a business drive, as does driving to and from the airport for business trips, and traveling to meet clients during work. It is evident that you can qualify for a significant amount of savings by claiming for mileage deduction if the nature of your work allows you to. It is only required of you to maintain a proper log in a verifiable format, which is where mileage trackers come to your rescue. How Do Mileage Trackers Work? Most mileage trackers are apps which you can install on your data-connected phone. The apps make use of the global positioning system (GPS) to track the distance you have traveled, along with other parameters, and provide you with a report for the trip. Some devices also connect to a Bluetooth-enabled device for the same. For the longest time, maintaining logs for travel costs has involved hasty scribbling on whatever piece of paper you can find around you at the time, or laboring over an Excel sheet trying to remember details of each trip you took and entering the details one by one. With mileage tracking apps, you not only save money in the form of tax rebates, but you also save yourself a world of inconvenience and hours of time, as the apps generate instant reports of your trips, in a format that is IRS compliant. Some of these apps also offer the features to upload generated reports to a cloud backup or other synchronized software, saving you the labor involved in doing it for each trip yourself. Imagine all the hassles you can avoid! There are a number of mileage tracking applications to suit various needs, that are available in the market. However, you should be able to evaluate them using different criteria, to choose an app that meets your requirements. Let’s take a look at some of the criteria that should be looked at before deciding on a mileage tracker app. Mileage trackers could have free, paid or freemium variants – that is, a basic version of the app is free, and users can pay to avail advanced functionality. You should look for an app that results in significant savings, and is effectively able to pay for itself over a reasonable period of time. It is tempting to opt for a free app, however, it is possible that your mileage tracking is inaccurate, or you are hounded by in-app advertisements in the middle of a busy trip and the app ends up becoming a nuisance. As mentioned earlier, some apps use GPS tracking while others connect to the Bluetooth in your car. The issue with these apps, however, is that they will start tracking trips the moment they detect movement in the car, and unless you remember to switch them off for personal trips and on again for business drives, you are bound to end up with miscalculated trips. Whether you claim reimbursements for fewer trips or greater than actual, you would lose money or worse, be penalized. A way around this is to use dedicated devices for mileage tracking. These are independent of your phone and have the option of switching on for business trips only, unlike an app which could be pushed to the background in your smartphone. But then again, these devices are expensive as compared to apps and you should carry out a careful cost-benefit analysis before purchasing a dedicated device. Just like any other app that uses data, mileage tracking apps also make heavy demands on the phone’s battery. If you are on the move all day, the constant charging of your phone – which you also need for several other purposes simultaneously – will also take a toll on your car battery. The ideal app for you would, therefore, be one with minimal background power requirement that does not interfere significantly with other processes on your phone. Any app you use for mileage tracking would offer the best functionality if it has the ability to sync with a spreadsheet software and an accounting application, which does the monotonous calculations for you. While some apps might generate the barebones Excel sheet, those could be lacking in important data like origin and end points for all trips which put the cumbersome task of identifying and separately calculating business trips, on you. What Are Your Mileage Tracking Options? With these criteria in mind, you can select one of the many available applications to track your business miles. One of the highest rated apps on Play Store, MileIQ has a neat, sophisticated interface that allows you to easily switch between business and personal rides. You only have to swipe left for personal and right for business. It also offers further categorization – you can also log the specific purpose of the trip. Additionally, the interface has a constantly updating counter for your miles, and the cost you incurred for all trips cumulatively. You can also set your working hours for every day, so that the app does not keep running for rides after work. The export options for the trip logs are also fairly versatile. The downside? This functionality comes at a rather prohibitive price of around $60 a year. There is a free option but it limits you to 40 rides a month, which, if you drive around frequently, isn’t much. It also uses comparatively more power as compared to the other apps on this list. 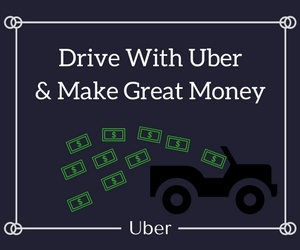 For a free, basic app specifically customized for rideshare drivers, like those employed with Uber and Lyft, Stride Drive is one of the best options. This is a free, lightweight app which allows drivers to log their expenses into inbuilt categories so that the expenses to be factored in the mileage deduction are separated from other costs. Available for both Android and iOS, it is compatible with many devices, even older models, with its minimal load on the phone’s background processes and low power requirement. If you do not mind spending more time with a less refined interface as far as functionality is achieved, TripLog is the app for you. It offers a number of features like MileIQ – manual or GPS tracking, fuel expenses and total cost tally and so on, for a fraction of the price. In fact, the free version allows you to track mileage for up to five vehicles. The best utility, however, can be extracted by upgrading to its subscription plans. For $15 to $20 annually, you get automated tracking, cloud backup, and unlimited IRS-compliant reports. It does come with a rather bulky interface that isn’t nearly as neat as MileIQ, but it is a small price to pay for the features and versatility it offers. If you are looking for a one-stop app that takes care of all your accounting needs, QuickBooks Self-Employed is the best bet. Customized for freelancers, home-based businesses and rideshare drivers, the app not only tracks mileage and fuel expenses but also synchronizes various financial accounts that you have, creates and sends invoices and links the payments to your bank account in an easy-to-operate user interface. The spreadsheets it generates are quite detailed and IRS compliant, which means most of your tedious bookkeeping is taken care of. In addition, QuickBooks Self-Employed also offers estimates for your quarterly tax payments. QuickBooks Self-Employed scores top marks for user experience and functionality. These features, however, come at a hefty premium of up to $100 annually. But given that it is more than just a mileage tracker, some independent users could extract good value from it. The Mileage Ace is a dedicated in-car device that functions independent of your phone and allows you to track mileage accurately. Its operation is completely automated, and the Wi-Fi log uploading feature means that you do not need to spend any extra time updating your travel logs. The unit also comes with a 3-year GPS protection plan which takes care of unit breakdown and malfunctioning. It is tamper-proof, which means your logged trips cannot be fudged and ensures that you are logged inaccurately. The unit has affordable subscription plans and does not drain your phone or car battery, unlike smartphone apps. The downside of using this is that the GPS detection at times may mislabel locations, and live tracking is not possible. All logs are updated once the trip is completed. Mileage tracking is indispensable for independent contractors, small businesses, and home-based entrepreneurs. Corporate employees too can make major savings in tax if they log their business trips systematically. Maintaining manual records and spreadsheets can be tiresome and time-consuming. It is also a difficult practice to follow if you have a busy schedule. Mileage tracking apps and devices can aid people from various sectors in better managing their expenses. However, there are a number of apps and devices available to choose from, and it could be a legitimately confusing choice to make. You should, therefore, have a clear idea about your budget, estimated tax savings, and functionality expected before you invest in any of these. Apps and devices usually vary in price, power requirements, synchronization between other devices and software and automated features. You should prudently weigh all the options available and select the app or device that best addresses all your concerns without making it a greater hassle to operate the app.